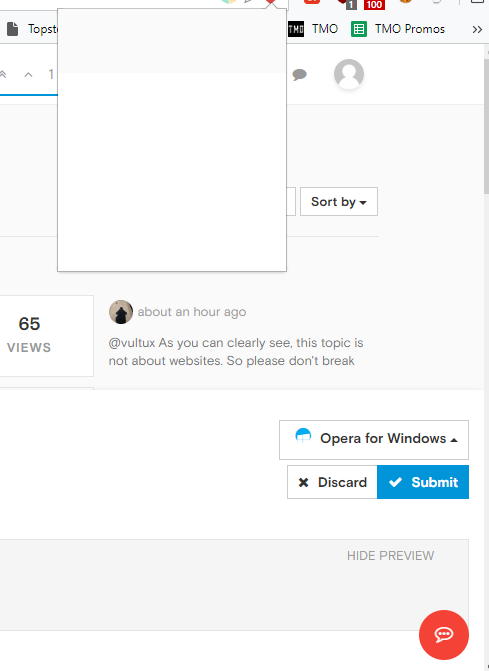 I have been having a problem with opera lately concerning it's favouriting function. Normally I would click on the heart and a small dialogue window would come up allowing me to name my bookmark and choose its specific location. However recently it doesn't seem to be working. All I get is a blank box that that simply stays that way and doesn't let me actually edit any information. Is there a way to fix that? I've included a picture of what happens recently.